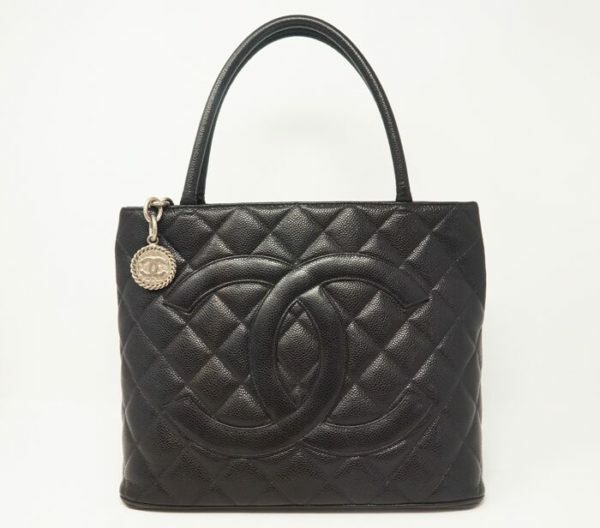 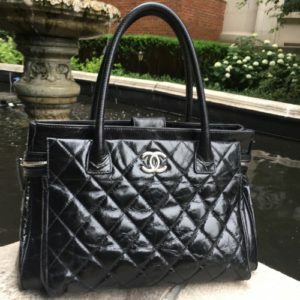 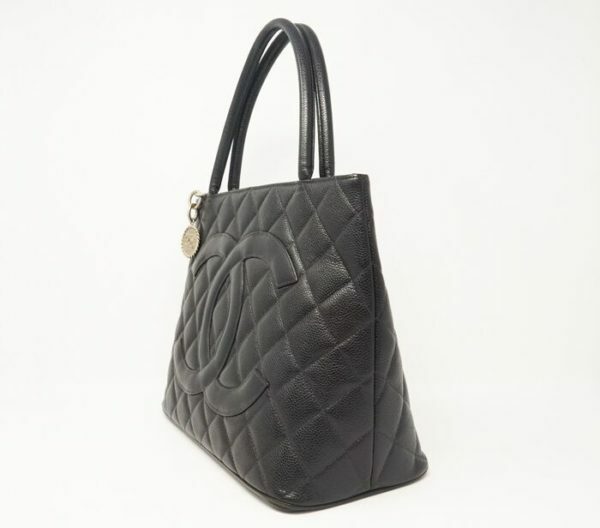 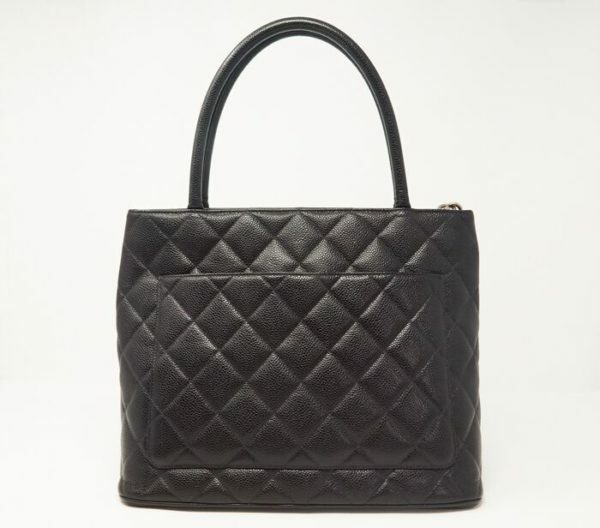 Chanel black diamond quilted caviar leather tote bag with large front Chanel “CC” logo, rolled leather handles, rear patch pocket, top zip closure with silver medallion pull tab, leather interior with zipper and patch pockets. Chanel black diamond quilted caviar leather tote bag with large front Chanel “CC” logo, rolled leather handles, rear patch pocket, top zip closure with silver medallion pull tab, leather interior with zipper and patch pockets. 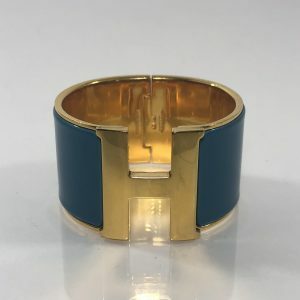 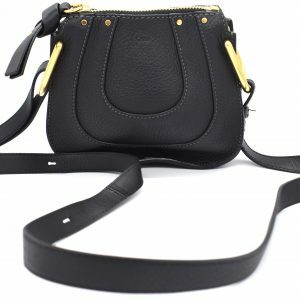 Base Length: 11.50”; Width: 6”; Height: 10”; Drop: 6”. 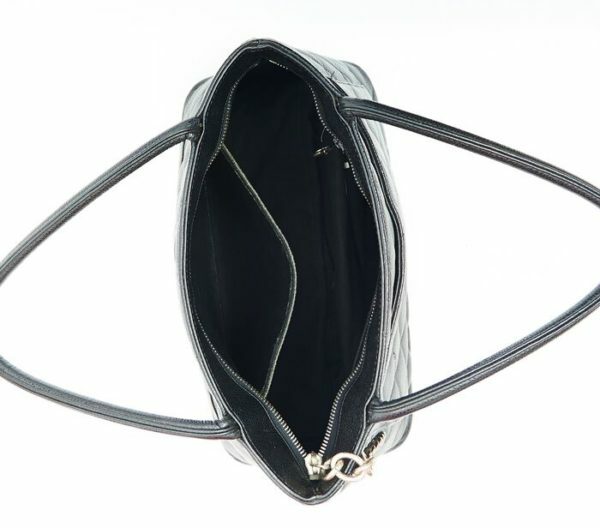 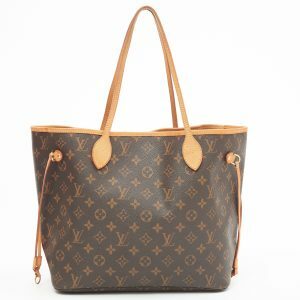 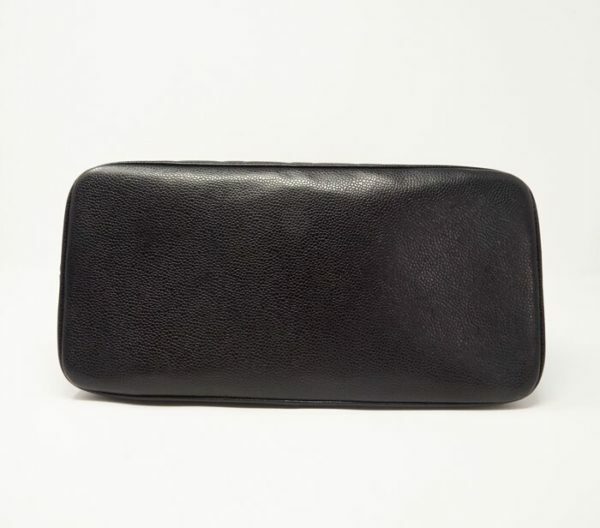 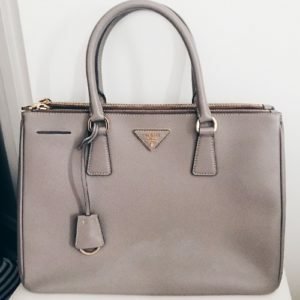 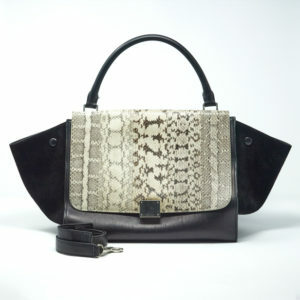 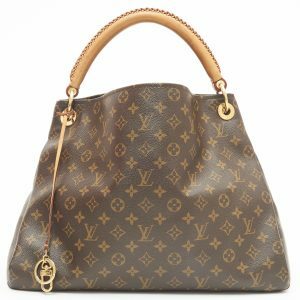 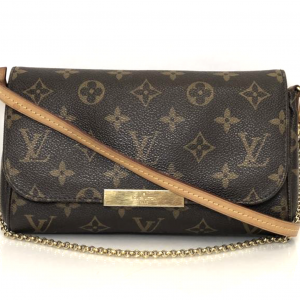 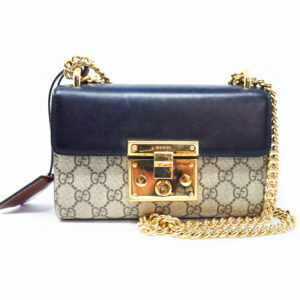 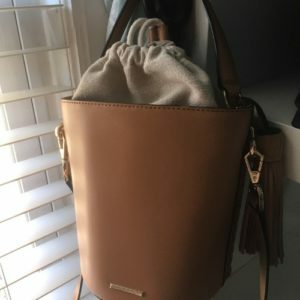 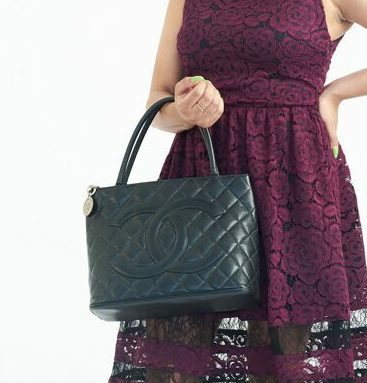 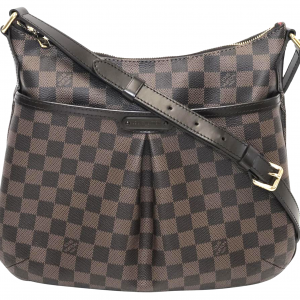 NOTE: This hangbag is also available for purchase from: https://the-chicago-consignment.myshopify.com/admin/products/10516745672 This item is not on consignment and is property of Chicago Consignment (www.thechicagoconsignment.com). 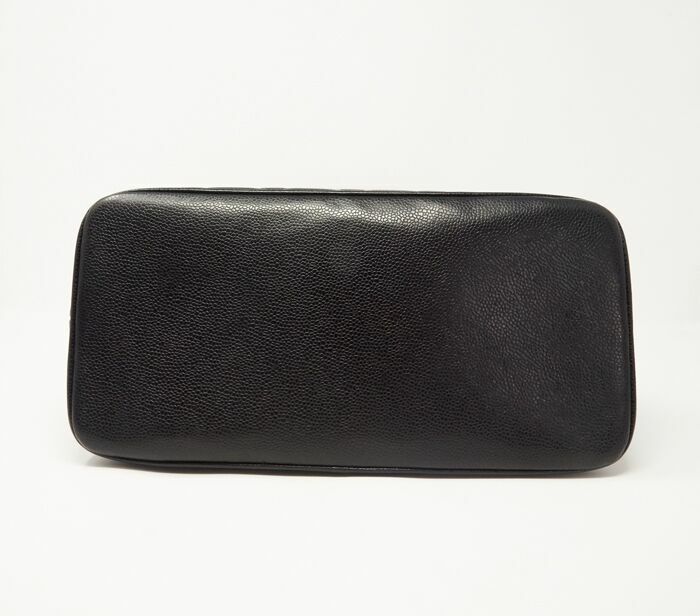 For inquiries, please email danielle@designershare.com for details.